My name is Anita and I have been married to Craig for eighteen years and have three lovely children. 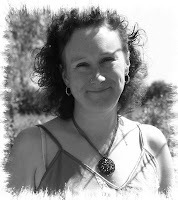 My husband has been very supportive in my venture and helps out in the kitchen at really busy times. I started learning how to knit and crochet at the age of five and have not stopped since. My first piece was a pony tail hat which had more holes than anything but I am glad now that I continued. Out of all the things that I make I especially enjoy making my 1920's flapper style hats. I start off with a ball of wool and take it from there, adding feathers and flowers to co-ordinate. I am inspired by what I see around me, in the shops, on tv and in magazines. I use little bits of things that I see whilst I am out and use it to make something. I work from home and make my items while watching tv or listening to the radio. I manage to get more done while the children are at school, with mid morning snacks of chocolate biscuits to keep my mind working. I sell my items online and up until recently sold them in a local boutique which had to close due to the credit crunch. I have my own dedicated 'wool' room, it's hard to open the door with the amount of wool that I keep in stock. 1. Chat in forums and blog on a regular basis. 2. Take good photographs of the items that you are trying to sell, think about the background and lighting. 3. Give a brief but detailed description of the item. My motto is keep on trying and never, never give up or lose faith in what you do. Many thanks to Anita for taking the time to contribute to my blog and, of course, for the fabulous hat! 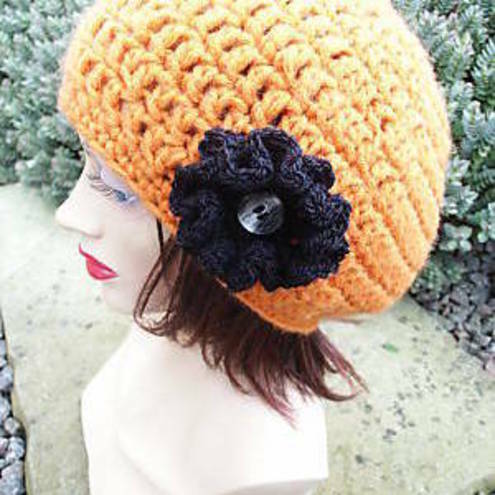 Visit Anita at her blog or Folksy shop and enjoy the range of super hand crafted hats and more! Wow - I nearly choked on my digestive when I read my name mentioned! Out of stock on my Folksy shop at the moment but hopefully will get back up to speed in the next few months! Glad someone likes my creations! Thanks! Great interview and I love the teal cloche hat!